How Long Will Open Red Wine Last? Red wine is without doubt collectors' favorite. If you know storage keys of red wines, you will have the opportunity to see red wines age and develop over years and even decades. It is important to understand that temperature is a very important consideration when it comes to storage of red wines. Usually, red wines should be stored with a higher temperature than white wine in wine cellar – at about 55°F. 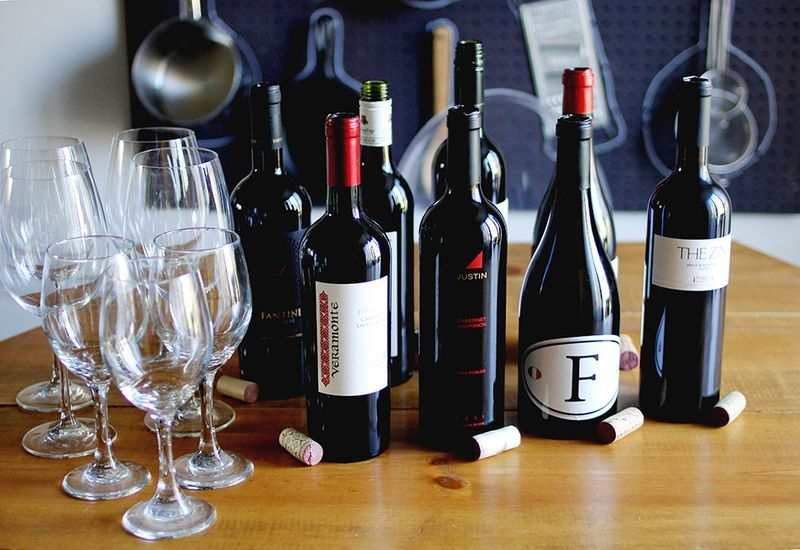 Keep reading to learn about important tips about how to store open red wine properly. A corked bottle of wine stored at cold temperatures will taste fine after 3-4 days. Putting outside with no storing methods being taken, open red wine can last for 2 to 3 days, after which the red wine is not recommended to drink. Most people try to finish red wine the same day they open it, mainly because it gives a more vinegar-like taste after a couple of days and does not feel very good on the palate. The change in taste happens due to the process called oxidation. The process takes place after the wine is exposed to air molecules. This will make original flavor go away and all you have left is wine that tastes bitter and sour. You may also notice a change in the appearance of open wine that has already been oxidized – it is more likely to be dull with little brightness and its color will become rather brown. Therefore, the key to the issue of how to store open red win, you need to figure out how to prevent oxidation of wines. Due to the short duration of open red wines, you need to be more cautious and follow certain techniques. Here are some essentials you won't miss in the storage. This query can be one of the most arguable points in storing open red wine. In fact, there is no need to refrigerate it if you haven't yet opened the bottle, because even average refrigerators have temperature too low to store red wine. You can refrigerate it if you have opened the bottle. If you replace the cork, your wine may stay good for up to a week or so in the refrigerator. That is mainly because lower temperature will hamper the speed of the oxidation process. Be sure to take it out of your refrigerator at least half an hour before drinking and serving. This will bring it back to room temperature and taste good. Recorking can be the first one that comes to most people's mind. It works to some extent, but is not the right way to store red wines. It is usually a good choice if you want to preserve rose or white wines. You can make use of silicone or plastic bottle stoppers and preserve your wine between servings. This is simple and easy to follow. You can find several innovative products like a wine shield to preserve red wine. It is basically a plastic disc that will float on your wine bottle. The disc creates a barrier and prevents any interaction between wine and air molecules. This prevents or slows down oxidation and keeps your wine in perfect condition for up to 5 days from opening. As mentioned already, you can remove oxygen from the bottle of wine to help store it longer. Using a specially designed vacuum pump is probably the best way to achieve it. These pumps come with rubber bung that you have to insert into the bottle and extract air using the pump. This will create a partial vacuum that will prevent oxidation to a certain degree. Using these pumps is a much better choice, especially if you do not want to spend a lot of money on buying other sophisticated tools and equipment to remove oxygen. It is important to keep in mind though that wines stored this way may lose their aroma earlier than wines simple re-corked and stored. Always make sure that you do not store the bottle of your red wine on its side. This will increase the surface area and accelerate oxidation process. Avoid storing your open wine by a window because direct exposure to sunlight will cause discoloration. Make sure to store your wine at temperatures lower than 70°F. Opt for a cool, dark place with temperature between 50F and 55°F. Use a smaller container to rebottle the wine if you do not have any other wine preserving tools. Although various tips are listed to work out how to store open red wine longer, the best thing is to finish your wine when you open it. There can be 5 glasses in a regular 750ml bottle of wine, so divide it in a way that everyone gets some and you finish the bottle while it is still at its best.